• Happy Holidays from Better Farm! Happy Holidays from Better Farm! Our tree is up, the lights are strung around the house, and things have finally quieted down around here after a flurry of spring, summer, and fall activity. We're using this opportunity to revamp our programming, streamline our business plan, ready for our New Year's Eve party, and foster and nurture our networking and outreach efforts. We've been drafting plans for completion of our Art Barn renovation, fine-tuning our vegetable-preservation methods, organizing toolsheds and greenhouses, getting the garden winter-ready, and upping our involvement in community action. We've also installed an indoor aquaponics system, scooped up a few awards, and made our way onto several local news networks. Thank you to all who have been involved and showed support for these projects, and spread the word about the work we're doing! You can learn more about how to get involved with these endeavors below. 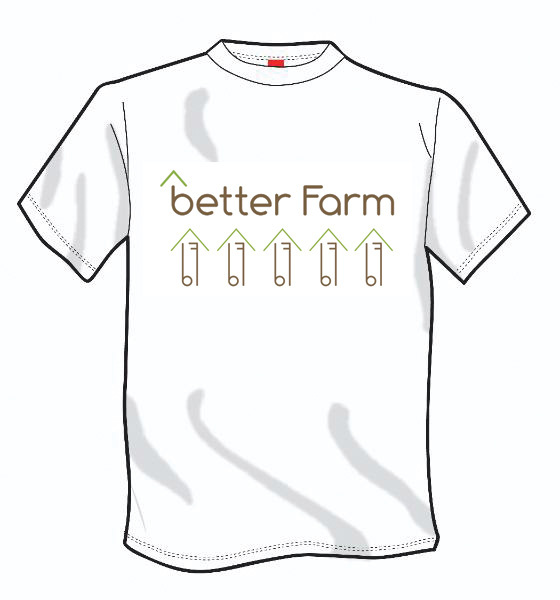 Please contact us to schedule a visit or tour, or visit www.betterfarm.org to find out more about what we're doing. 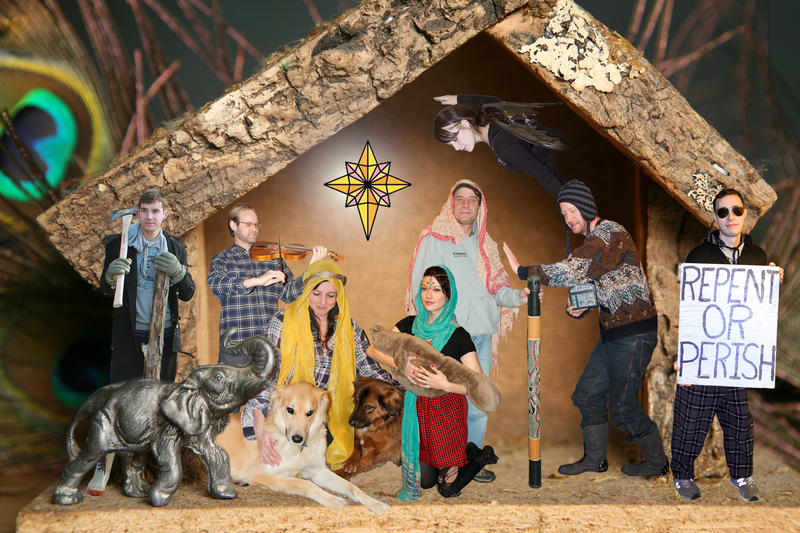 From all of us at Better Farm, we wish you a peaceful, happy holiday season. 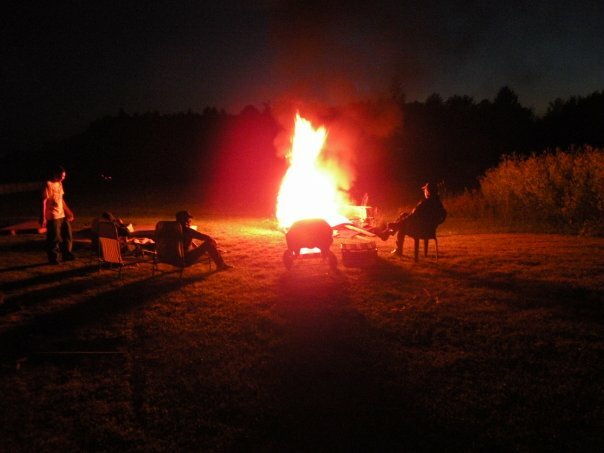 Help us usher in 2012 with a potluck banquet, bonfire, and live music starting at 9 p.m. Saturday, Dec. 31. Dress to impress, masquerade attire encouraged but not required. E-mail us at info@betterfarm.org to RSVP, or visit the event page on Facebook. With winter upon us, we're down to a handful of brave leeks and garlic out in the garden—which means our tomatoes are canned and blanched, our string beans are canned (and some sauteed and frozen), and soybeans are frozen (ready for edamame). With an ever-expanding sustainability internship program now running year-round, we consulted with Marco Centola of Brooklyn Farms about creating an aquaponics setup at Better Farm to grow fresh salad greens (and even a tomato or pepper plant) throughout the year. We set up the system with a 70-gallon fish tank and a bunch of minnows and goldfish, set about researching nitrogen cycles, and started a bunch of lettuce plants last week. Follow our progress with this project here. Better Farm's gardening methods are strongly rooted in lessons gleaned from Ruth Stout's How to Have a Green Thumb Without an Aching Back. That book clearly explains the benefits of mulch gardening; a layering method that mimics a forest floor and combines soil improvement, weed removal, and long-term mulching in one fell swoop. Also called lasagna gardening or sheet mulching, this process can turn hard-to-love soil rich and healthy by improving nutrient and water retention in the dirt, encouraging favorable soil microbial activity and worms, suppressing weed growth, and improving the well-being of plants (all while reducing maintenance!). So how do we do it? First, a weed barrier like cardboard is laid down to smother weeds. The cardboard decomposes after the weeds have all died and turned into compost. On top of the cardboard you can pile dead leaves, grass clippings, compost, several-years-old composted manure, and other biodegradables such as old hay (many thanks to our neighbor Guy Hunneyman for dropping off hay for us to use!). Mulch gardening can range from just a few inches thick to 2 feet or more, depending on how bad your soil is and how much raw material you have available (it will cook down and settle quite a bit). The cyclical process goes on year-round and works so well we don't have to put a single additive or chemical into the ground. Read more about our gardening processes here. • Redwood's First Annual Harvest Festival: Oct. 1 marked the date of Redwood's first-ever Harvest Festival, featuring: a 5k road race hosted by Noah's Ark Pre-School, a chicken barbecue fundraiser held by the Redwood Historical Society at the Redwood Tavern, free face-painting provided by betterArts, free Jack-o-Lantern design and carving, as well as pumpkin pie, provided by the Redwood Neighborhood Association and featuring pumpkins grown by Better Farm, Jim Stine, and Kim Duellman, free literature on the Indian River Lakes Conservancy, and fresh produce for sale by Better Farm. • betterArts Helps Out with Monthly Teen Night: betterArts teamed up with another local organization called Hearts for Youth in October and November to put on two arts-related "Time Out" teen nights event in Redwood for Alexandria-area teenagers and students. The first featured former artist-in-residence Eric Drasin; who led some of the night's participants in a jam session, taught a guitarist chord progressions, and guided a burgeoning drummer through different tempos in a music workshop at the event. Students were also able to enjoy food and refreshments, and play pool, foosball, listen to music, and socialize. The following month involved several residents working with teenagers in a jewelry-making workshop. Many thanks to Kim Duelmann and Penny Heath for organizing these events! • Residents Join "Occupy Wall Street" Movement: Several residents at Better Farm, including artists and interns, joined ranks with the "Occupy" movement in multiple "Occupy Watertown" events held at Public Square. The individuals' presence, part of a larger movement to acknowledge high levels of systemic corruption in power, yielded multiple news stories on Your News Now (YNN), Newz Junky, the North Country Democrat blog, and on WWY TV 7. And more recently, artist-in-residence Mike Brown got involved with the movement by supplying protesters with surveillance drones to document ground zero of the Occupy forces. • Better Farm Works to Improve Air Quality: Armed with a bagful of black walnut seeds (donated by Bob and Bev Tessler of the Thousand Islands Zoo), the folks at Better Farm have in the last month planted more than 100 trees along Cottage Hill Road. A mature, leafy tree produces as much oxygen in a season as 10 people inhale in a year, and acts as a huge filter for the air around it. Anyone who would like free black walnut seeds can e-mail us at info@betterfarm.org. • Nicole Caldwell Receives Young Professionals Award: The Greater Watertown Jaycees recognized Nicole Caldwell for her work with Better Farm and her local contribution to arts and culture in the North Country at the 2011 Young Professionals Awards Luncheon held Oct. 20. Three of the area's top young leaders younger than 40 were honored in three divisions: business, civic, and arts and culture. • Better Farm is a Finalist for the New Business Venture Award: The Jefferson County Job Development Corporation (JCJDC) recently announced the names of the four companies vying for the New Business Venture Award, given to a company established and located in Jefferson County which has been operating for at least two years, and has shown that it is effectively implementing its business plan and is experiencing growth. The winner of this award will be presented with a check for $1000. 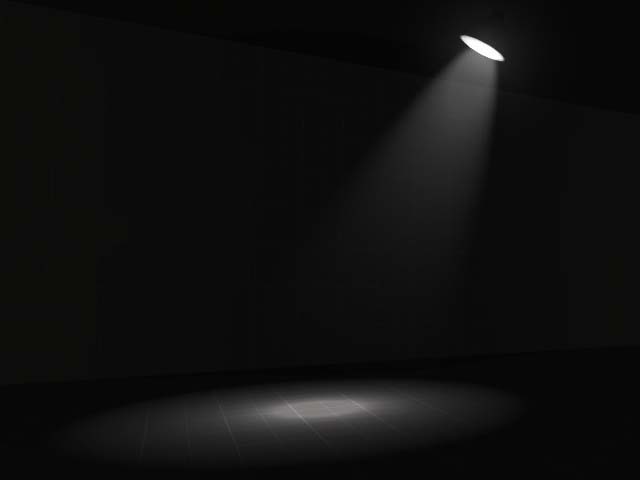 Nominees will be recognized and Award winners will be introduced at the JCJDC Annual Membership Meeting Friday, January 20. This year’s nominees are: Better Farm, Redwood, NY – Nicole Caldwell, Executive Director; Fourth Coast, Inc., Clayton, NY- Augusta Withington, President& CEO; LLREEDWELL, a partnership DBA Café Mira, Adams, NY– Lisa Reed and Lori Wells, Owners; and North Croghan Outpost, Natural Bridge, NY- Teri L. Ellis, Proprietor. • We're accredited! Better Farm and betterArts are now accredited with the Better Business Bureau. This honor will allow prospective interns and artists to read up on us at the Better Business Bureau's website, and for us to show our trustworthiness by displaying this organization's logos on our websites, blog, and Facebook pages. • Channel 7 Features Better Farm! We were thrilled when Caitlin Cissne of WWNY TV7 gave us a call to say she'd like to do a story on Better Farm. Watch the clip here! Just drop us a line at info@betterfarm.org to learn more, share your ideas, make a donation, or find out other ways you can get involved. Until next time, better be! Have a great holiday season and New Year! Better Farm is an education center and artists' retreat founded in 1970 on the principles of the Better Theory—a belief that every experience brings with it an opportunity for exponential personal growth. Through educational workshops, artist residencies, work-shares, and an ongoing commitment to sustainable living and community outreach, we strive to apply the Better Theory to all our endeavors while offering the curious an opportunity to expand, grow, and flourish. Copyright (C) 2011 Better Farm All rights reserved.